After tob!s from Esato killed us the other day with the beautiful XPERIA X5 concept, he’s ready to do it again, with the aid of a Sony Ericsson Alicia concept. 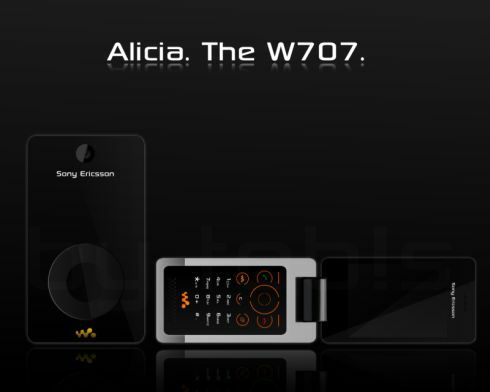 Here’s the W707, in its electronic flesh, not really a concept but rather a prototype of the device with some Photoshop magic on it. Iron Phone Concept Design Makes Your Eyes Hurt Xperia X5 Concept Design, an iPhone Clone?